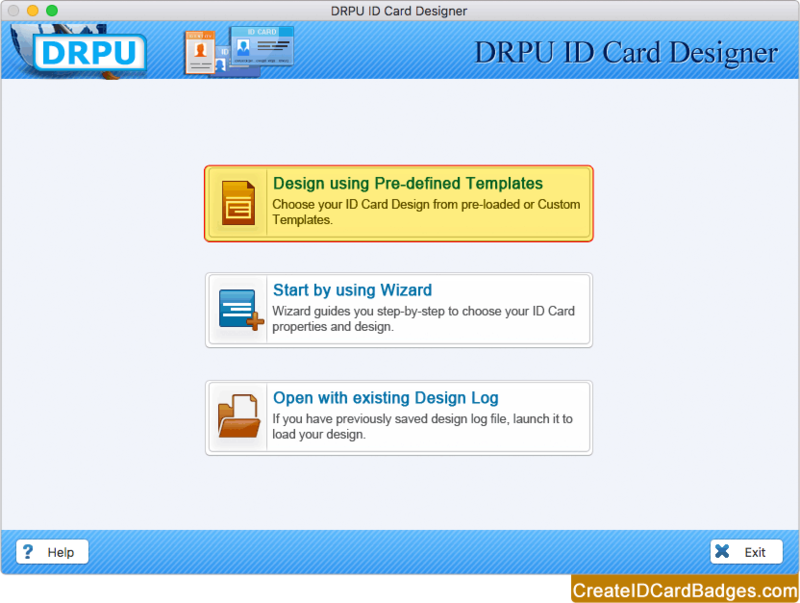 Software has three modules to design ID cards. Choose any one module according to your requirement. Program has various pre-defined templates. 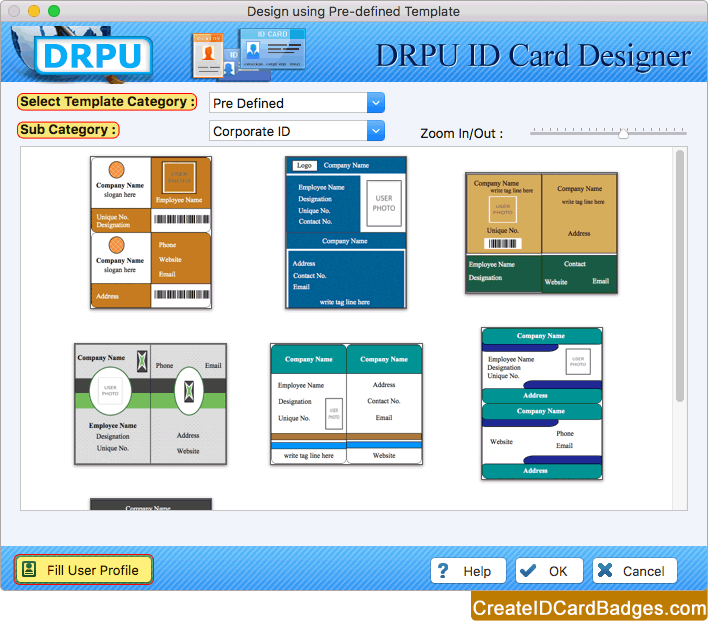 Select any one pre-loaded ID card design sample to generate ID cards and click on 'Fill User Profile' button. 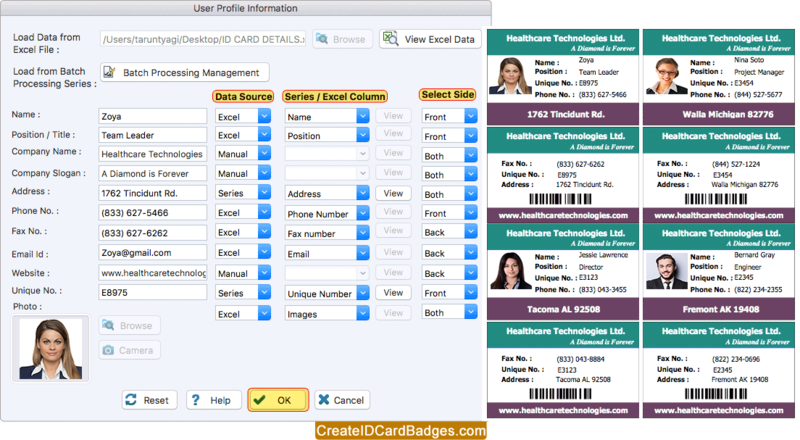 To create multiple ID cards, fill ID card details by browsing excel file data and by creating batch processing series. 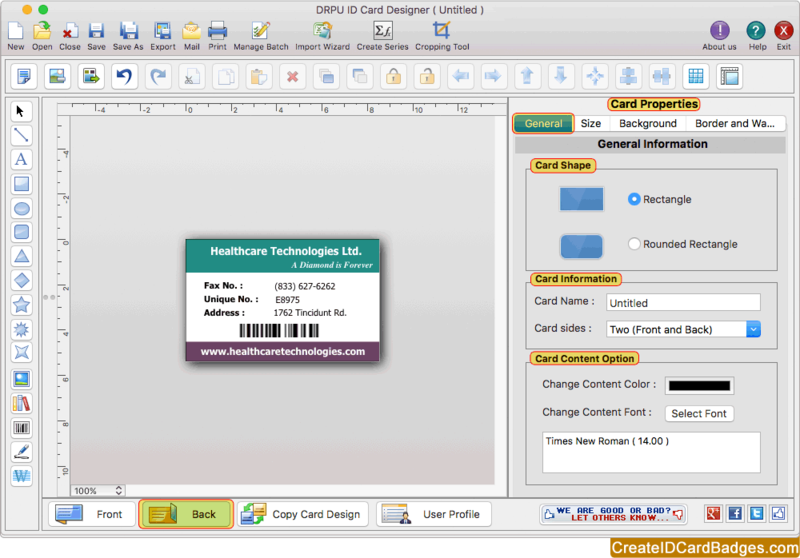 Now you can do further modification in your designed ID cards by using various card designing tools and card properties. Here you can see back side of ID card. 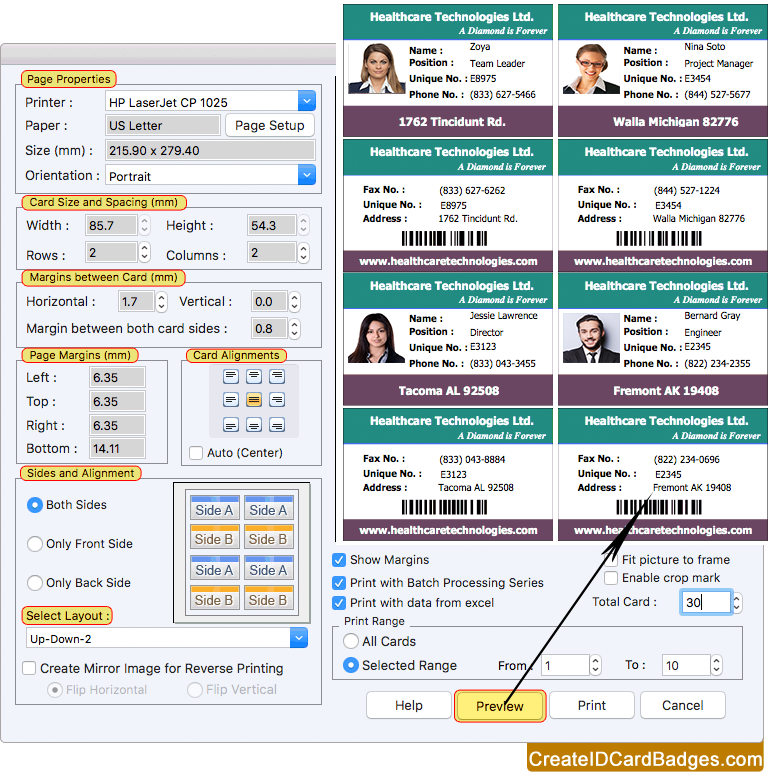 Software has option to add barcode, signature, watermark, images and text on ID card. 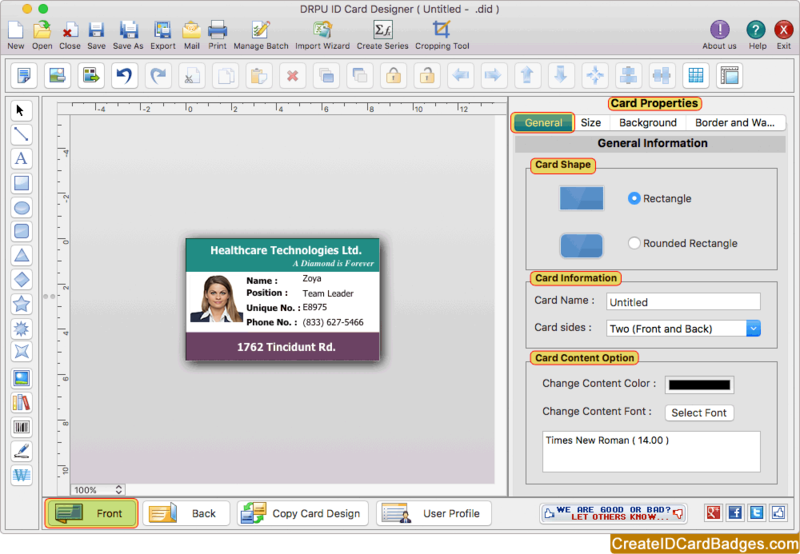 To print designed ID Cards, set print settings including Page Properties, Card Size and Spacing, Margins between Card, Page Margins, Card Alignments and click on Print button. Click on Preview option to see the preview of ID cards.